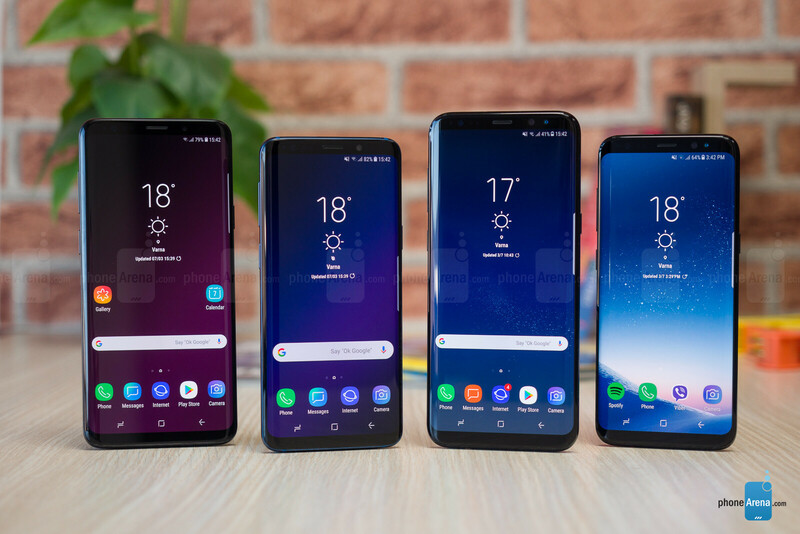 Samsung’s Galaxy series has become synonymous with high-end Android phones, and the newest Samsung Galaxy S9 and S9+ are the best ones so far. But when you have a successful product, you tread carefully, evolving and refining it rather than making any huge changes. This is what has been happening to the Galaxy S series over the past few years: refinement and evolution, careful strokes of Samsung’s design brush meant to preserve and improve without breaking what’s already working. However, in a fast-paced industry driven by excitement and revolution, is the Galaxy S9 series enough of a change? Is it worth upgrading to the S9 from the S8 and are there any meaningful improvements? Let’s find out. Virtually the same, save for the fixed position of the fingerprint scanner. But then again, this is something Samsung should have done last year. 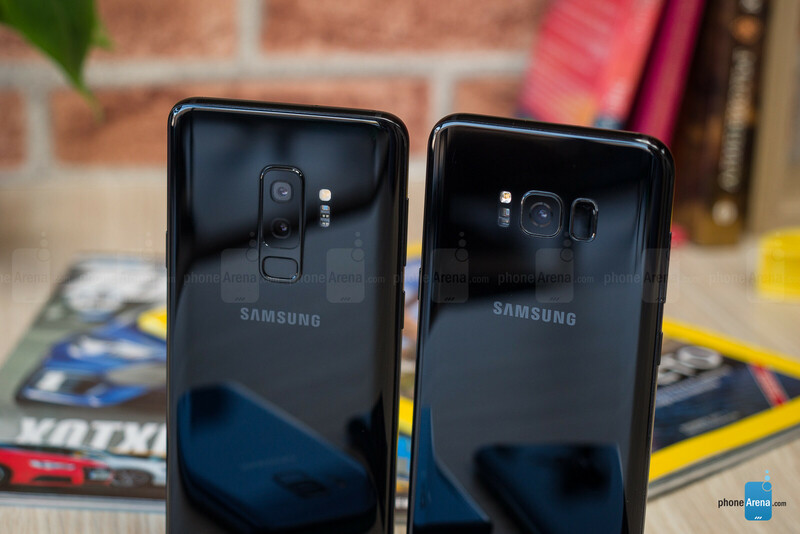 Saying that the Galaxy S9 series and the S8 series are similar is an understatement: the phones are nearly identical. If it wasn’t for the different position of the fingerprint scanner (now, finally below the camera, where it’s easy to reach) and the dual camera on the S9+, we would not be able to tell them apart from each other. And by that we mean that styling, looks, size, pretty much everything is identical. Is that a bad thing? Not really: the S9 and S9+ look stylish, thin, elegant and pack a large screen in a compact body. 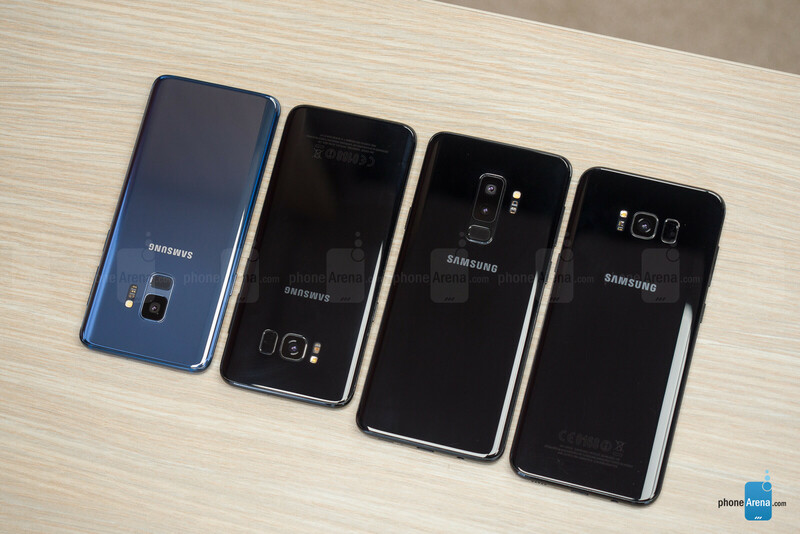 However, those wondering whether they should upgrade from an S9 will not find much of a reason when looking in the physical appearance of the phones alone. 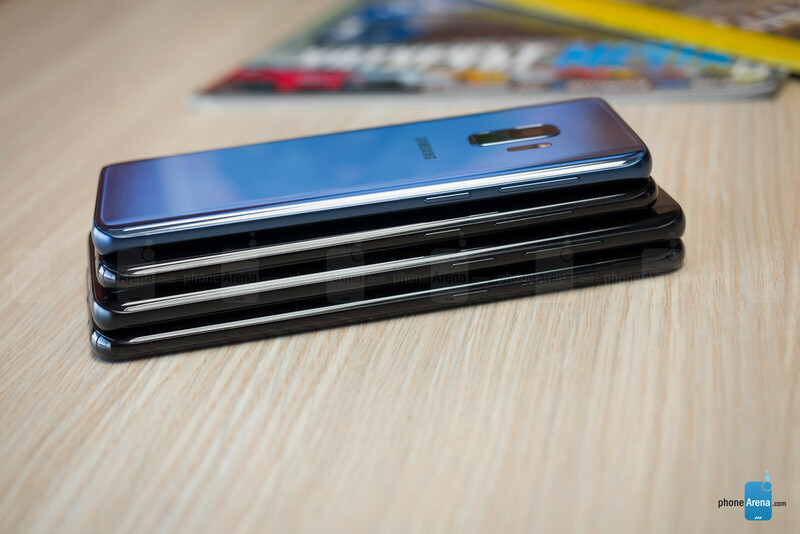 Samsung also insists on having the Bixby button on the S9 series. It’s in the same spot as on the S8, on the left side, below the volume buttons. And you still cannot change it to any other function. Bixby, Samsung’s take on a smart assistant, has access to in-depth phone features and settings that other assistants do not have, but it still needs a lot of work in terms of voice recognition and knowledge, and it’s nowhere nearly as good as the Google Assistant or even Apple’s Siri. So… was it really necessary to have this button allocated to Bixby with no alternative? We see the Bixby button as more of an annoyance rather than a shortcut to useful functionality. 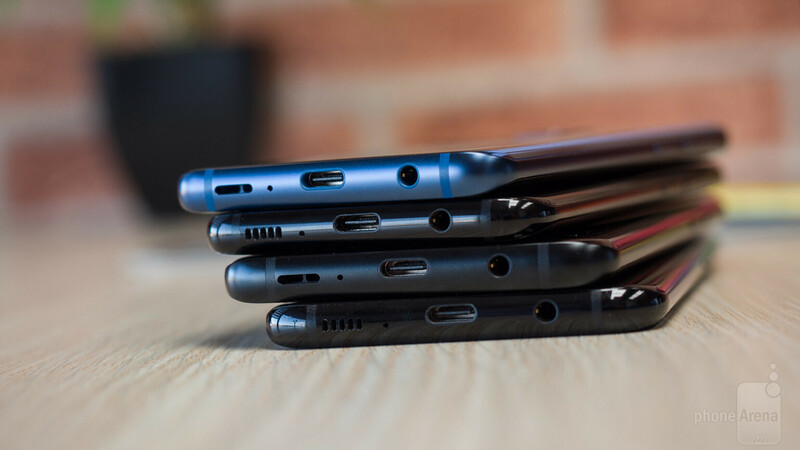 On a more positive note, we do have a headphone jack on the bottom of all phones. Thanks for keeping it, Samsung! As much as we like using wireless headphones, there are still plenty of times when you just need that headphone jack. 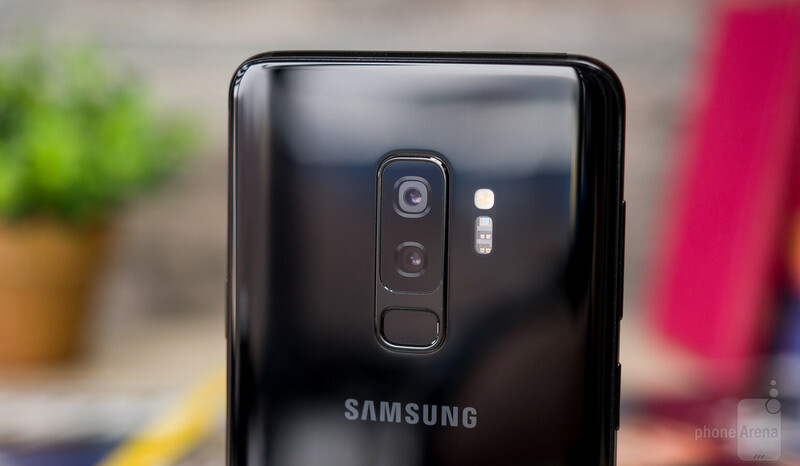 The Galaxy S9 series – just like the Galaxy S8 – is also water and dust-proof with an IP68 rating, meaning that the phones will survive as long as 30 minutes in water as deep as 5 feet. That’s one neat feature that we’re glad has not been changed or removed either. There is one last thing we noticed: the new S9 phones have a bit sharper edges, something that you notice when you hold them in the hand. We don’t mind this (and you certainly will not feel this at all when you use your phone with a case), but it’s a curious little detail we wanted to share. Samsung makes possibly the best screens in the industry, but is there an upgrade from the S8 to the S9 screens? Not that we can tell. If there was just one reason to pick a Samsung device over any other, that would surely be the Super AMOLED screen. It is bright, vivid, lively; everything just comes to life on the S9 and the S9+. 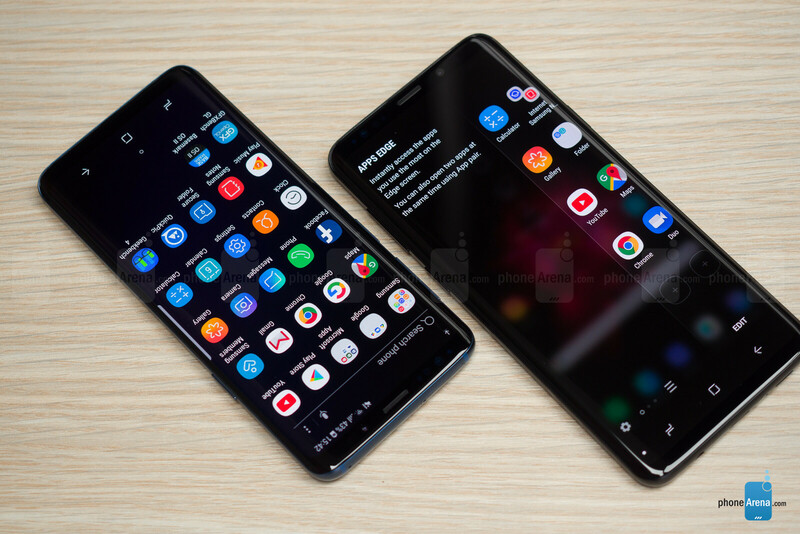 And since the screen is such an essential part of a smartphone experience, we would easily recommend a Samsung phone just based on how great of a display it has. But is there any improvement in this edge-to-edge, “Infinity” display on the Galaxy S9 series over the S8? Well… not that we can tell. The screen resolution is the same: Quad HD+ at 1440 x 2960 pixels (Quad HD+). By default, the display is set to the lower Full HD+ resolution to help get better battery life and because the real-life difference in perceived sharpness is minimal. You can change this from the Settings menu. The color reproduction is also the same: you have the super vivid Adaptive mode, and you have more toned down options, including the Basic mode for sRGB colors. Brightness is excellent as the displays on the S9 and S8 go into overdrive when you use them outdoors, in bright sunlight, and can burst to super high brightness for a limited time to ensure you get a good view of what’s displayed. At night, they also gets comfortably dim. Viewing angles are also great. And last but not least, there is no notch. Samsung Experience (née TouchWiz), the Achilles' heel of the Galaxy series. The Galaxy S9 series runs on Android 8 Oreo with the company’s custom Samsung Experience (née TouchWiz) interface. 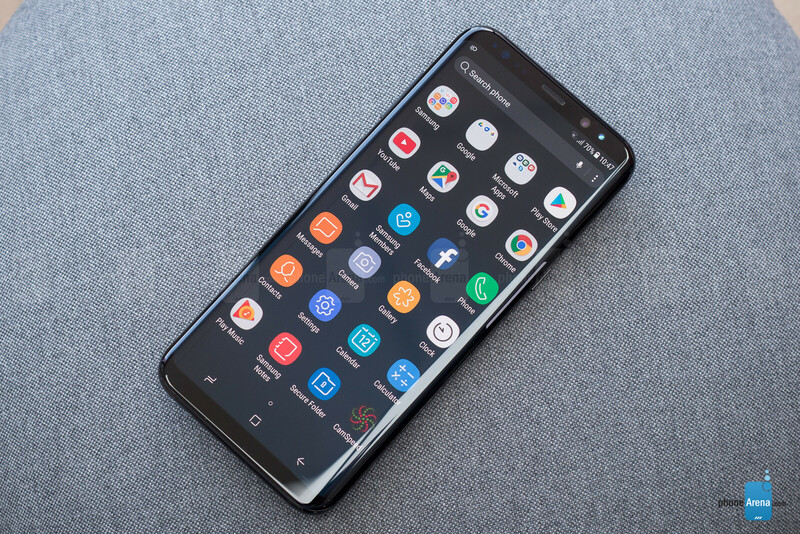 For years, this has been the Achilles' heel of Samsung phones: this interface was bloated in the past, and while there is much less bloat on it these days, we noticed that it still stutters and is not as buttery smooth as an iPhone or a Google Pixel. What about the Galaxy S9? Well, there is improvement: the S8 used to stutter badly in some commonly used places like the app drawer, and while the S9 is an improvement, unfortunately, you can still notice dropped frames every so often. On a positive note, one key new feature that comes from Google and that Samsung now supports is Project Treble. Treble is something that most users will not notice directly. What it boils down to is that vendors like Samsung will no longer need to rework their custom interface every time a major new Android upgrade happens. For end users, this means that they no longer have to wait for long months until vendors test their software before pushing an Android update. Theoretically, at least. Time will tell how this works out. What else is new in Samsung Experience on the S9 series? Not much, really. The look and feel of the interface are the same. The core apps are also the same. You do get AR Emoji and stickers based off AR Emoji with the Galaxy S9 and S9+. To use AR Emoji, you take a picture of yourself using the phone’s camera and you get an avatar that looks like you, but can be customized further if you desire. You can make it talk, it can follow your facial gestures and so on, and you can easily share this on various platforms as a video file. And in messages, you also get about 20 stickers with your own self, which is kind of fun. The AR Emoji avatar, though, is very low quality and can sometimes look downright creepy. I’ve tried it and it worked good with my face, but did not do very well with my friends. It’s clearly a gimmick that you will try and get a laugh, but probably forget its existence down in the long run. Like the Galaxy S8, the S9 series also supports the DeX dock. DeX was introduced with the S8 and it allowed connecting a monitor that you power with your phone and have a desktop-like experience. There is a new DeX dock with the S9 series, and unlike the previous one, this new dock is flat, which allows you to lay your phone on it and use the phone’s display as a trackpad. It also leaves the headphone jack exposed so you can easily connect speakers or headphones. We’ve tried it briefly and while you notice that performance is lacking, we could do some basic typing, browsing and checking out photos with the DeX. Snapdragon 845 is not enough for buttery smooth performance on the S9. Every year, phones get faster and the S9 and S9+ are no exception: both phones have the Snapdragon 845 processors (or an equally powerful Exynos chip), an improvement over last year’s 835 chip. Both chips are made using 10nm technology, so relative power consumption is not much different, but the 845 runs at a higher speed. In benchmarks, this can contribute to a nearly 40% difference in favor of the S9 series over the S8. In real life? As we’ve already mentioned, the daily experience on the S9 is better than on the S8, but still not as smooth as we’d like. The phone stutters slightly and drops frames in some places. This is something that you notice once you use the phone, not something that you can see in benchmarks. In terms of storage, there are no changes. You have 64GB of on-board storage on the S9 series, the same as on the S8 family. This will be enough for most users, and you also get a microSD card expansion option on both phones. Camera reimagined, says Samsung. Not much of a difference, if any, show real-life results. As you can see, there are two big new things in the cameras: the variable aperture and the first dual camera ever on a Galaxy S phone (only present with the S9+, and not on the smaller S9 model). Variable aperture is a cool feature made to improve shots at night. First, though, let’s explain a few terms: aperture refers to how open the lens “eye” is. The lower the number, the bigger the opening, and the more light gets in. And as more light gets in, you get better pictures, especially at night. So there’s been this race towards making a bigger aperture that lets more light in, and Samsung just took the lead with an f/1.5 aperture. However, this comes at a cost: the actual photograph actually looks much softer at f/1.5 because of the physical properties of such a wide lens. Samsung knew this and to avoid this issue, it made a clever decision: a variable aperture that can change to f/2.4, where less light is captured, but the image looks much sharper. For most people, this change will happen automatically in Automatic mode, but you do have the option to switch manually in Pro camera mode. Here is the one thing you need to know about this variable aperture: the new, super wide, f/1.5 aperture only works when it is very, very dark (under 100 lux). In all other cases, the phone would automatically take pictures using the f/2.4 aperture. Even at night, when we went out to take pictures, only half the photos actually used this new aperture, so the majority of time the phone will just use the f/2.4 aperture. Secondly, you also have the secondary camera on the S9+. This is a neat feature: the secondary camera is equipped with a “telephoto” lens that gives you 2X lossless zoom, as well as a better perspective for shooting portraits and you have the Live Focus mode that blurs the background for those portrait style photos similar to the ones Apple popularized with the iPhone 7 Plus back in the day. Thirdly, Samsung has also changed the camera interface on the S9 series. You can now simply swipe left and right to instantly switch between camera modes, in a way similar to the camera app on the iPhone. This is more convenient than before, so we’re glad Samsung made this change. But what about the actual quality of the photos? After all, Samsung says that it has “reimagined” the camera, so is there really that much of a difference? Yes and no. There are changes and improvements, but while some of them are immediately noticeable, others are not that major. We noticed that Samsung has now removed the artificial oversharpening in images (visible in ‘ringing halos’ around the edges of individual objects in photos), which gives the photos a much more natural look. Colors are more balanced and slightly warmer, there is less of an artificial boost in contrast for an overall more balanced look. Additionally, Samsung has done a fantastic job removing noise from photos and preserving a great amount of detail, making the S9 and S9+ two of the best-performing phones in this respect. Finally, we noticed that exposure tends to be just slightly brighter on practically all photos. All these changes combine together for photos that do look better in real life. In some cases, the difference is big, while in others it’s not that noticeable, but the improvement is nonetheless there. We don’t know whether “reimagining” the camera is the right term for these improvements, but we do know that Samsung has made some welcome improvements. Great job, Samsung! But what about photos taken at night, when that new f/1.5 lens goes to work? We took a bunch of pictures at night, and we actually could not see much of a difference from the Note 8 or S8. The S9 does just slightly better with dynamic range as it avoids blown-out highlights better than earlier Galaxies, but photos with that f/1.5 lens actually look a bit softer. We would say that there is a slight improvement at night, but not a major one. 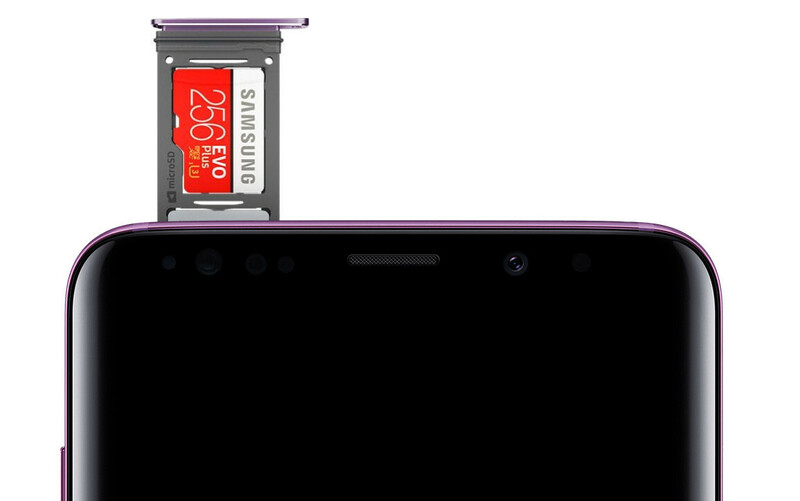 When it comes to the front camera, we have an 8MP front shooter on the S9 series, the same resolution as on last year’s phones. What’s new is the support for portrait mode with the front camera, as you can easily blur the background and get a more memorable portrait selfie. Images turn out slightly better. Colors are again slightly warmer than on the S8, but for all else there is little difference in sharpness and other elements. You also have a cool wide selfie mode that allows you to get a larger group in the frame easily. The Galaxy S9 and S9+ have one cool new video feature and that is 4K video at 60 frames per second. As far as we know, these are the first Android phones to support this new feature (the iPhone 8, 8 Plus and the X were the first phones ever to introduce 4K60). However, there is one limitation with this recording mode: 4K60 videos are limited to 5 minutes in length. If you don’t mind this, the quality is absolutely stunning. The benefit of 60 frames per second videos over the traditional 30fps is that motion appears a lot smoother, detailed and more realistic. The Galaxy S9 phones use optical stabilization in this new shooting mode, and while there is a slight trace of warping along the edges of the frame, it’s actually not bad at all. Samsung excels above all others in terms of captured detail and it also has the fastest and most reliable continuous auto-focus that we have tested. 4K60 does tend to take nearly double the space of 4K30 (around 600MB vs 300MB for a minute of video), but if you have enough space and care about the best video quality, this should be your preferred shooting option. Video enthusiasts also know that you can slow down 4K60 in post to get a 2.5x slower footage in 24fps, if you want super high quality slow motion. Then there is the other marquee S9 feature: 960fps Super Slow Motion, recorded in 720p resolution. In reality, it looks very grainy, more so than a regular 720p video. This new slow motion setting is about 30 times slower than real life, while on the Galaxy S8, you could record 240fps, or 8 times slower than real life. And yes, it can look absolutely epic. There are a few things to know about it: you can record it in auto mode where you point a rectangle at an area where you expect movement to happen, and the phone automatically triggers slo mo recording, or manually, by pushing a button when you want the recording to happen. The auto mode did not work well for us, so we just used manual most of the time. Slow motion like this requires a ton of light, so it looks best when you record it outdoors. And while it’s not something you will use every day (not even close), it’s a fun little gimmick. While there was a single bottom-firing loudspeaker on the S8 and the S8+ and it was really quite disappointing, the S9 series ups the ante with new, dual loudspeakers that sound fantastic. When compared with the competition – the new iPhones and Pixels for once – Samsung is playing catch-up, but in a great way, with sound that is full and rich for a phone. You also get a pair of AKG-tuned in-ear headphones in the box. These are slightly better than your run-of-the-mill headphones and sound quite decent. They also come with a neat braided cable that does not get tangled easily and just feels more classy. And of course, once again, you have that convenient 3.5mm headphone jack. Solid performance, not much change. 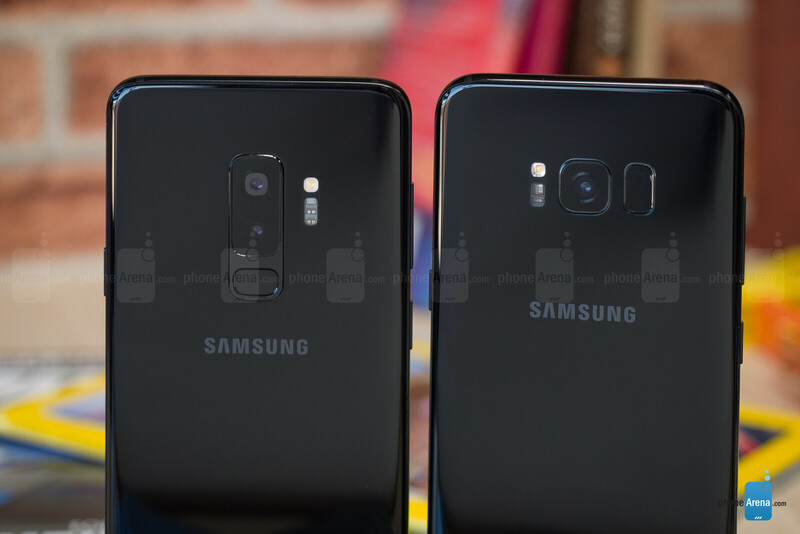 There is absolutely no change when it comes to battery size on the Galaxy S9 and Galaxy S9+: just like last year’s S8 and S8+, they have a 3,000mAh and 3,500mAh battery, accordingly. But is there any change in actual battery life? After all, chips are improving and becoming more efficient and screen technology is advancing as well. In our week or so of using the phones, we did not notice a huge change in battery life. We could easily get through an even busy day with the phones, but you would still need to plug in your phone every night. The Galaxy S9 scored a bit lower than its predecessor in our battery test. The difference is not huge, but it is there on our tests. Meanwhile, the S9+ obtained largely the same result as the S8+. Whether the slightly lower score of the S9 is due to some genuine change in the phone's workings or is just an anomaly, isn't certain. In any case, both phones will still have to be charged nightly, so that's not a huge difference in the end. There is one other important aspect of the battery experience and that is charging times. 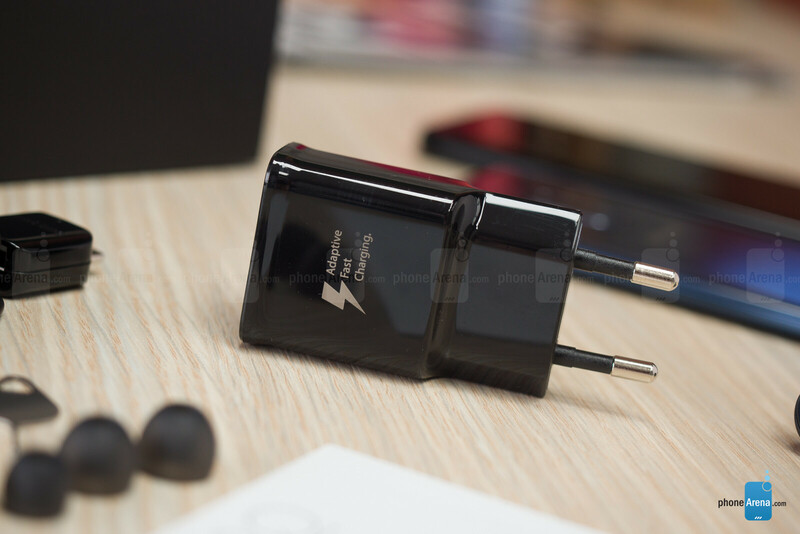 The new S9 and S9+ both support Samsung’s Fast Adaptive Charge and come with a fast charger in the box. Last year’s models also supported the same functionality. We also tested the time it took for the phones to get from 0 to 100% charge using the charger in the box, and we found no change. Both the S9 series and the S8 series top up in around 1 hour and 40 minutes, give or take a few minutes. Also, both the S9 and S8 series support wireless charging. You don’t get a wireless charging pad in the box, but Samsung sells chargers separately, and they look awesome, support fast wireless charging, and allow you to have your phone in an upright position, so they double as a dock as well. Call quality is excellent on all of these phones. Crisp and clear on both ends, we’ve had absolutely no issues. We did not notice much of an improvement or change between the S9 and S8. So… is it worth upgrading and what does it cost to upgrade? So we are talking about a ~$120 price difference currently (and a much higher €210 margin in Europe). While this is not much, you don’t get much in terms of new features either. The camera is improved in ways the photo and video enthusiasts will appreciate, but for the regular user, that improvement probably falls short of the promised “camera reimagined” tagline. Performance is slightly smoother, but Samsung Experience remains a bit stuttery and not quite as smooth as a Google Pixel or Apple iPhone. Super Slo Mo is a cool gimmick, but one that you probably will not use on a daily basis, and AR emoji sometimes look downright creepy. Okay, it might sound like we are bashing the Galaxy S9 series, but we will also readily admit that they have one of the most spectacular displays on a phone, a stylish, luxurious design and all that it takes to make a great flagship. What we are saying, though, is that at the end of the day, the Galaxy S9 series could have just well been the Galaxy S8”s”. And if you have last year’s phone, you might want to wait one more year, maybe until that promised futuristic foldable phone arrives. so when phones have all screen fronts will you call them copies of each other? or a boring design year after year? Just bought the S9 because my S8 cracked while in a hard case when it slid off my lap in an office chair. The S9 had BETTER be more durable than the S8 or this will be my last purchase from Samsung, after owning every Galaxy generation.